carly tee: welcome to rainbow week! welcome to a special week! 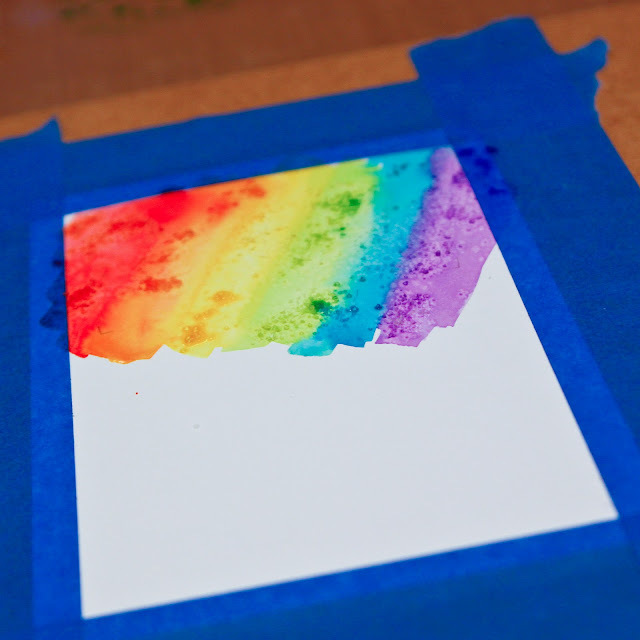 this week i'm excited to share 5 days of rainbows with 5 cards and a giveaway too! 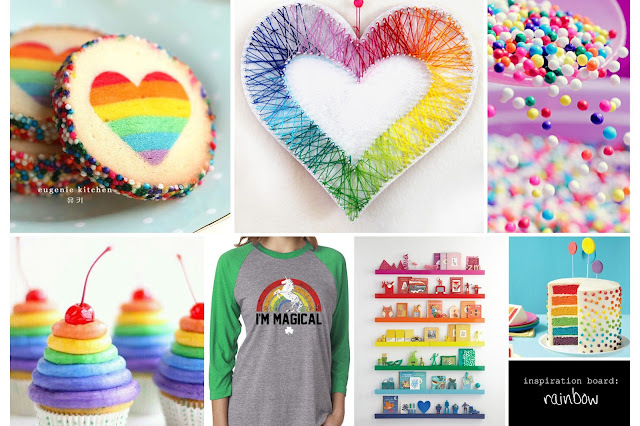 you may have noticed that rainbows are trending this spring in fashion, food, home decor and crafts. and i love it! rainbows make me feel like a kid with a fresh box of crayons! 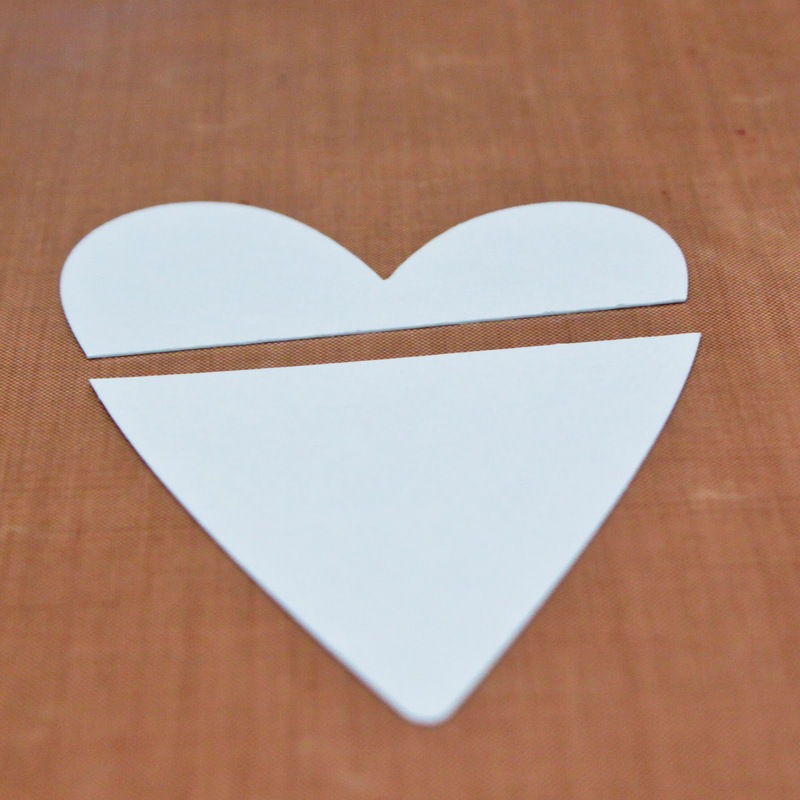 i used the bottom 2/3 of a folk heart die cut to create my cone. then i decorated it with little snowflake stamps like a classic sno-kone wrapper. 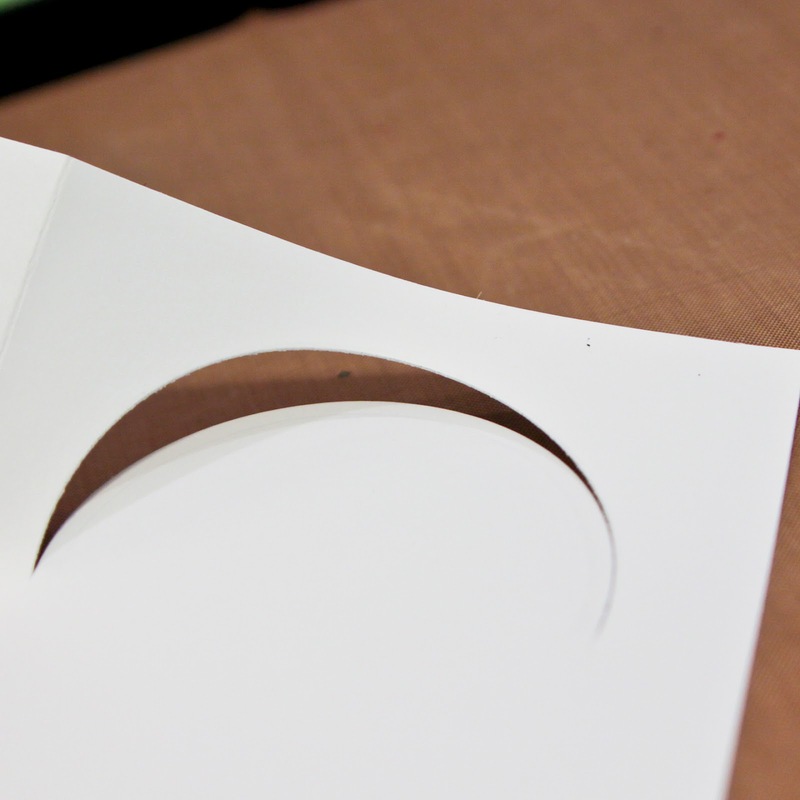 i partially die cut a circle from my card front to create a window, finishing it with a craft knife. 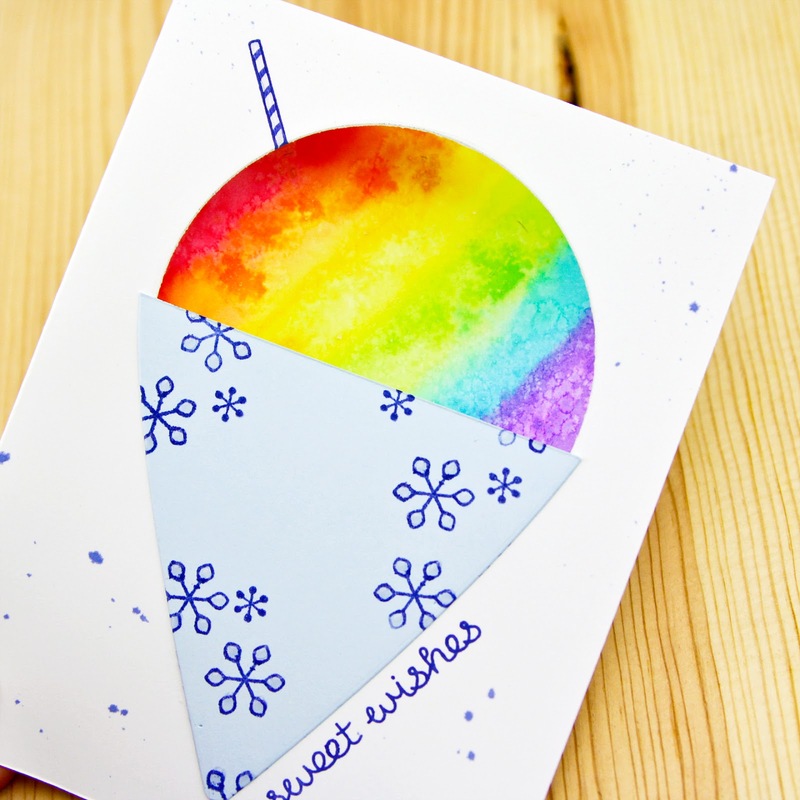 i used a rainbow of distress inks to watercolor inside my card. 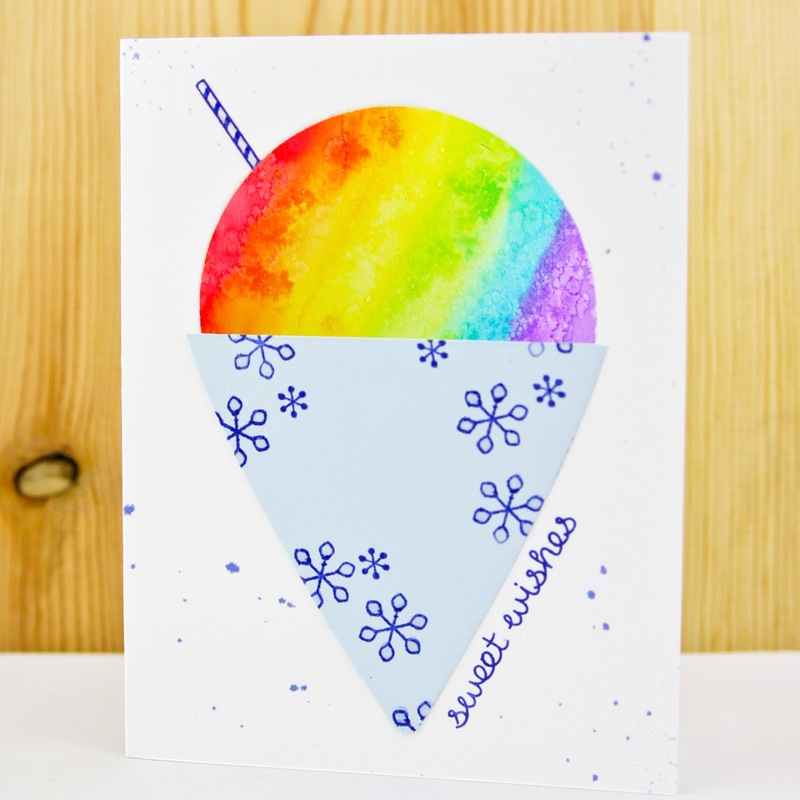 and i sprinkled the wet ink with a little salt to add a snow-cone-type texture. stop by tomorrow for more rainbows and giveaway details! Love this card! Need to make it for my kids. This is so simple but it is beautiful and has great impact! Now this I can do! Ok this is total yumminess! Gah! I love your inspiration board and the card! They both make me incredibly excited for Spring!